Small business owners often get wrapped up in the day-to-day responsibilities, and can lose focus on big business tasks. With 2015 and the holiday frenzy winding down, it’s the perfect time for business owners to celebrate and reflect on your business successes and plan ahead for 2016. A plan is essential to the survival of any business. It will help to identify your customers, your market, and the competitive landscape. It will also help you find potential opportunities that will make your business prosper. Improve your workplace wellness: It’s not new news that workplace wellness programs are known to increase ROI and can improve your bottom line. While some business owners may be skeptical of incorporating these types of programs, there are cost efficient ways to go about it. For example, it can be as simple as creating a monthly wellness newsletter with tips on healthy living and eating. Or starting a walking group for staff. Talk with your team to identify their wellness needs and interests before starting a program. Creating a supportive and healthy work environment will lead to a more productive work force. Plan to pass the torch: Make this the year to think about how your business will thrive after you leave. Many business owners are so busy with the day-to-day operations that they delay their succession plan. A succession plan is crucial as it outlines the direction of your business once you transfer ownership. There are components to a succession plan, such as agreements, business and estate tax plans, that need to be discussed and laid out before the actual implementation. And while you are planning for the future of your business, don’t forget to also think about your personal life after you leave. Connect on social: A social media strategy is fundamental to staying competitive. Plus having a social media presence is an investment in your brand. While social media as a marketing tool is not a new trend, the way business owners are using social networks is changing. Facebook, Twitter, Google and LinkedIn all offer robust advertising options that are cost effective and allow for very specific targeting. Do your research to find out which channels will help you connect with your current and potential customers. Once you have chosen the social media channels that you want to use, make a commitment to engage with your customers on a regular basis to highlight your business’s unique value proposition. Become mobile friendly: New mobile payment technology is a game changer for businesses because it now means they can make sales anywhere – the craft fair, farmer’s market, a pop-up store or even at a customer’s home. Any entrepreneur can use technology that they already own (like a smart phone or tablet) as a transaction terminal, allowing them to accept credit, debit or mobile payment on the spot. To find the best mobile payment solution for your business, think about what you really need: How many transactions are you doing per month? Are you travelling to different locations? Then look for a solution that doesn’t require an infrastructure upgrade and provides a variety of payment options. Think global: The Internet and social media makes the world smaller and provides a true global opportunity. 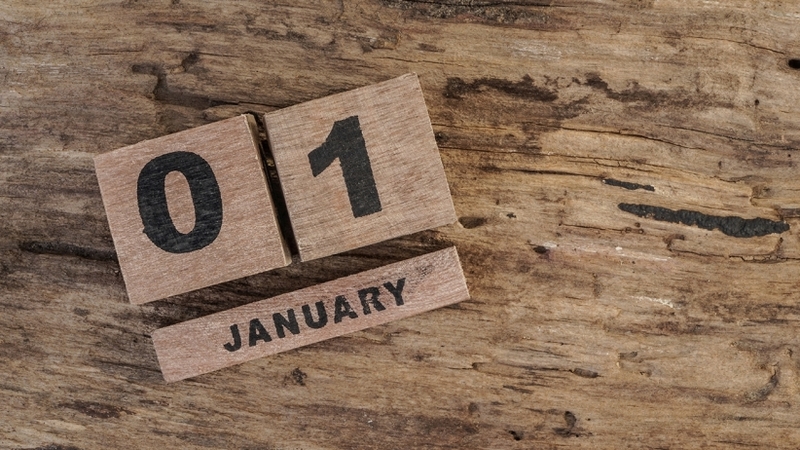 If you’re thinking of going global with your business, 2016 could be an ideal time. According to a recent RBC Economics and Small Business report, the low Canadian dollar is creating opportunities for small and medium-sized businesses to increase their exports. Growth is almost always a good thing – as long as it is controlled. Develop a growth plan that outlines where you want to go, potential costs and cash flow considerations. Keep in mind that as your business grows, your expenses are likely to go up — increased payroll, more equipment and supplies, larger premises. Make sure you outline the anticipated additional costs for the expenses. If you’ve been dreaming of starting a small business (and according to a recent poll, 57 per cent of Canadians have thought about it), make it happen in 2016. Start by pulling together a business plan and a support network. Be a student of your own business by learning from other successful business owners. Most importantly, resolve to stop procrastinating so that you can pursue your entrepreneurial dreams.